This Sukehiro belongs to Saijyo ranking. Blade length : 50.3 cm or 19.80 inches. Width at the hamachi : 3.27 cm or 1.29 inches. Width at the Kissaki : 2.59 cm or 1.02 inches. 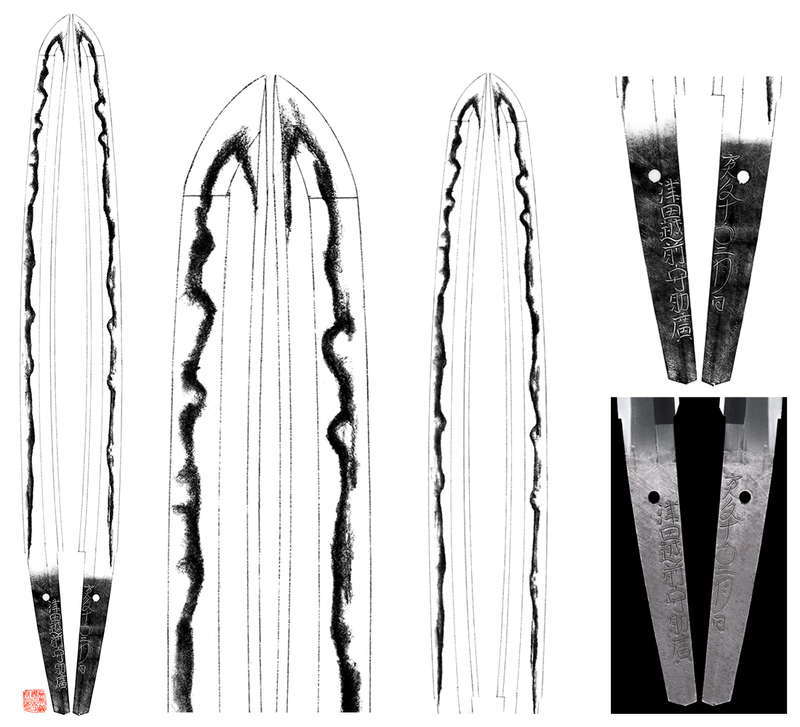 Kasane : 0.7 cm or 0.28 inches. 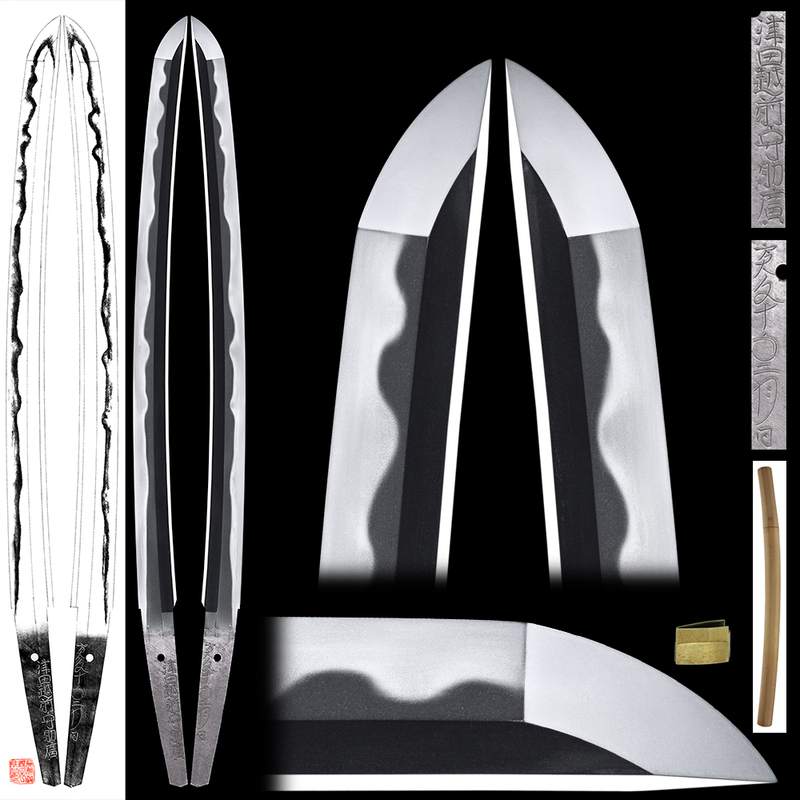 Shape : It is wide(3.27cm) and thick magnificent looking wakizashi. Jitetsu : Ko-Itame hada well grained with fine JInie attached. It is clear Osaka Jigane. Hamon : NIe deki Doranba with mixture of O-Gunome midare. Boshi is round and Hakikake style. Special feature : Tsuda Echizen Kami Sukehiro was born in Settsu Koku Uchide Mura and has become an adopted child of first generation Sukehiro. After receiving the post of Echizen Kami he has become the chauffeur of Aoyama Munetoshi. This piece has back signature curved in Sosho running style and the front is curved in Kaisho square printed style. It was when the Doranba hamon was　coming to the ripening stage. I personally think the completed Douranba works are wonderful but is lacking in rural beauty. 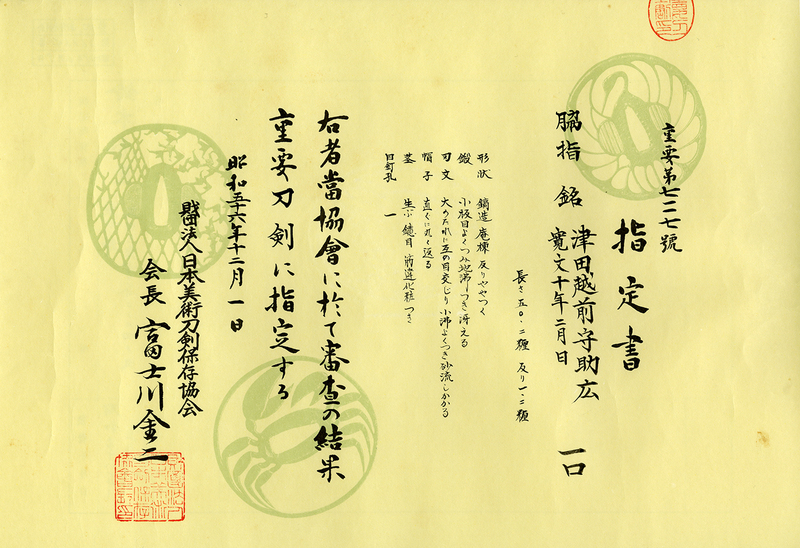 It is this time when the Kakutsuda Mei and chronological signature is engraved( like this work) and are rustic and nice. It is excellent Doranba with much bright Habuchi. It is health sword wit hno Kizu or flaw. 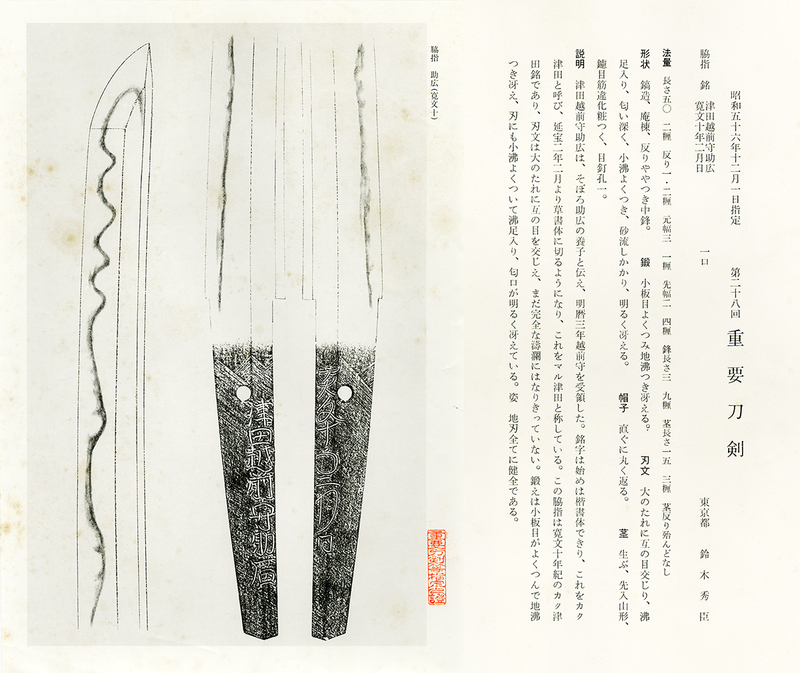 One Tsuda Echizen Kami Sukehiro is ranked as Jyuyo sword and 8 of them is ranked as Jyuyo Bijyutsu sword.